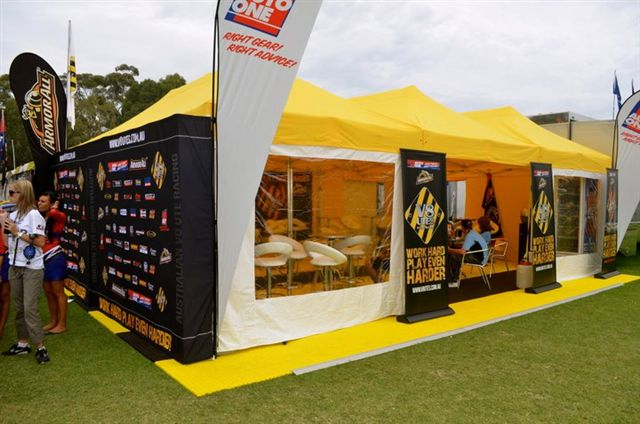 Branded marquees are by far, the most perfect way to market your product or company in outdoor trade shows or market or events, There is no better way to do this than with a fully printed marquee. 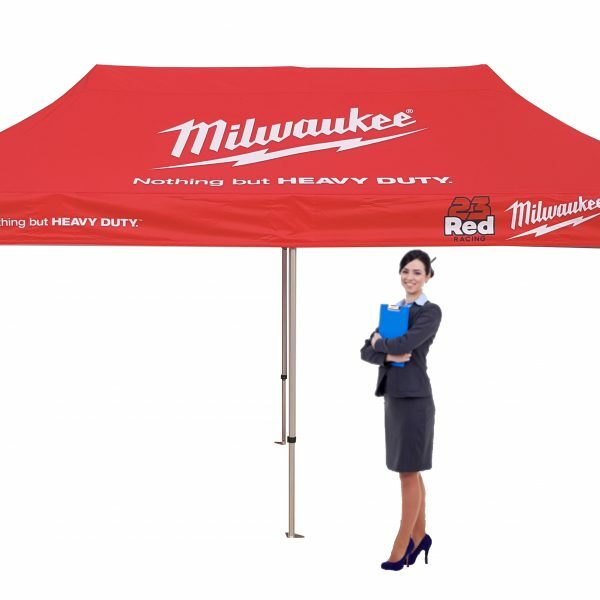 All successful business and companies’ exhibit, hold events and run promotions as they are essential to build your brand awareness and increase sales. 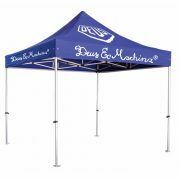 Whether you are holding your own event, exhibiting at a trade show or local event or market stall, a promotional gazebo with your branding ,logo and contact details are a great way to stand out from the crowd and get noticed. 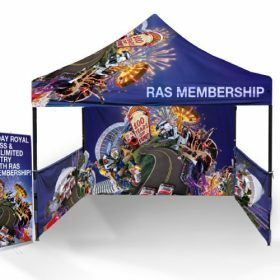 We can print virtually anything, anywhere on your marquee so why not really use the marquee as a marketing visual and get your company noticed with a fully branded Betta Marquee. 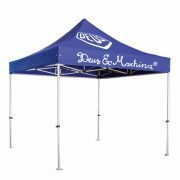 There are many benefits to purchasing promotional branded gazebos. For a start you will portray a positive professional image of your business. Image is everything for customers and if your outdoor display stands out to be professional, then customers will perceive that your services and products are also professional. 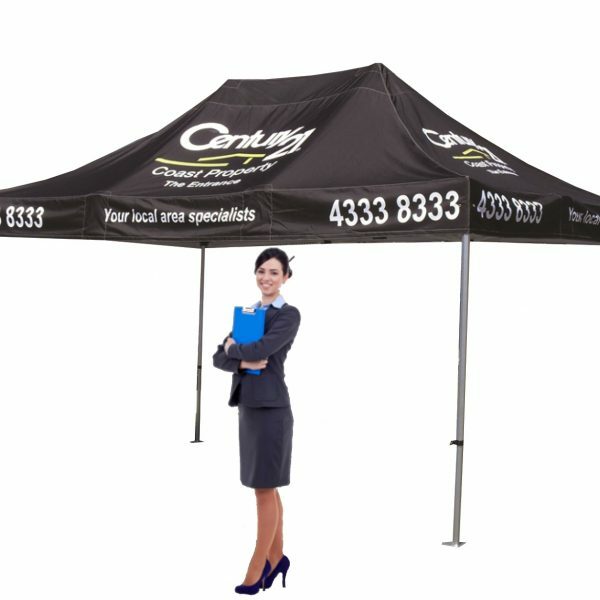 Fully promotional marquees will really help your event tent to stand out from the crowd and get noticed. 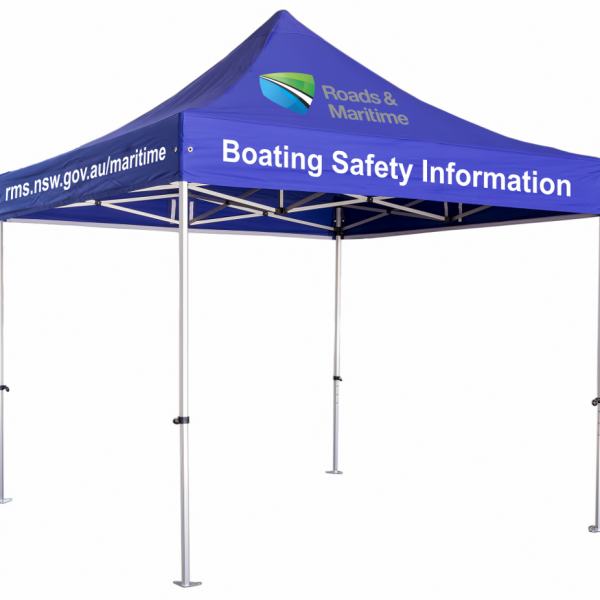 In a market or exhibition, when there are so many other companies also exhibiting or selling, you need your marquee to be really eye catching. You will generate more sales, making your purchase a worthwhile investment. The quality of print we can achieve is largely dependant on the artwork you can supply us with. The better the artwork, the better your printing will look. To help you to get the most out of your printing you can follow our artwork guidelines. We offer free expert design advice. If you prefer you can send us your logos/images with a rough sketch of the positioning and our designer will prepare a layout for your approval prior to production. This entry was posted in Marquee & Pop Up Gazebo, Promotional Marquees. Bookmark the permalink.